The first dual-mode digital temperature controller to go from -50F to 300Fand back againwith the flip of a switch. Forget the Ready, its low-profile, ultra-mountable design is Set and Go. With a responsive dual-color LED display and modular probe that eliminates the need for a thermowell, perfect homebrew has never been so effortless. ThermoStar is the only temperature controller that you'll never need to disassemble or re-wire for perfect performance. 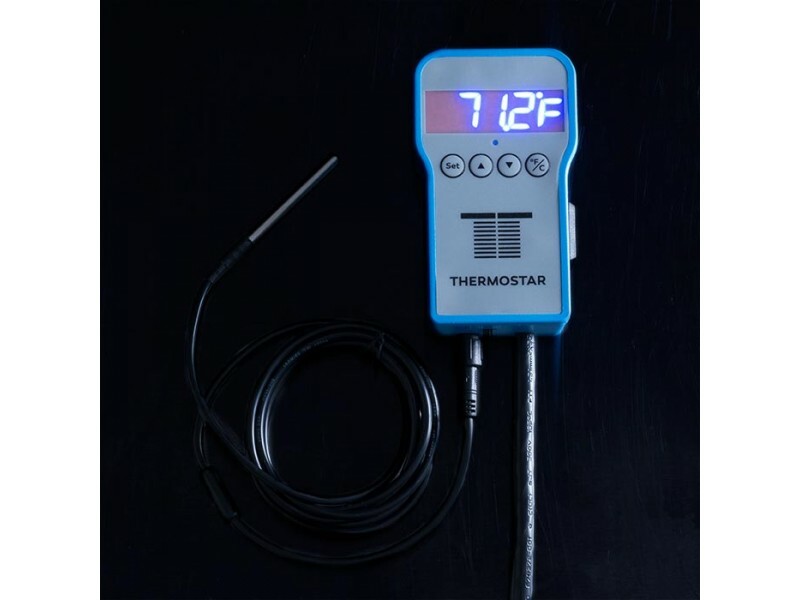 Equally at home heating or cooling, the Thermostar can monitor fermentation temps or provide precise control of your kegerator or keezer.Tested and trusted by our Brewmasters for its reliability and ease of use, ThermoStar is the temperature controller of choice in our R&D brew cave.